The game plot is the main merit of the game. In all the other aspects the game is quite usual HOG. 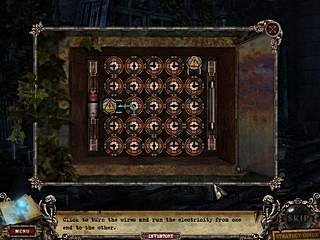 You’ll need to do all the things you used to in the other games of the type such as finding gears to solve puzzles, distracting the dog by means of the cat caught thanks to the mouse and cutting away foliage. At some point of the game it seemed to me that Fear for Sale: The Mystery of McInroy Manor is all about opening locks and turning on lights. But I didn’t notice when I took to playing. 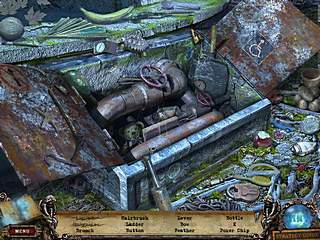 Fear for Sale: The Mystery of McInroy Manor stands in the same line with the Mystery Case Files and Mystery Trackers: The Void. Maybe that’s thanks to graphics or music but suddenly you realize that the game you didn’t like at the beginning brings you joy. So if you didn’t feel it’s yours when you played a demo, give it a chance. At least you’ll hardly regret about it as the graphics are better than average. I think that the game stands in the same line with the Mystery Case Files and Mystery Trackers: The Void. The HOG-scenes make up the majority of the game. The random clicking is not encouraged as usual, while you may get some achievements for progressing without a misclick, and that is quite fresh. If you decide to play for the second time you’ll be disappointed as the objects in the list will stay the same. On the other hand if you’re keen on achievements, that is your chance to play without a mistake or hint. Along with the typical feathers and flowers to search for you’ll be tasked to identify rather unusual items. For example the word “Italy” in your list corresponds to the spot on the bench with the same contour as the country has on the world map.As for me the game could get some extra points for being voiced over. But lack of it cannot be considered as the unambiguous disadvantage. Fear for Sale: The Mystery of McInroy Manor has its special charm. And it could be even lost if there were some voices that couldn’t fit the music for 100%.For those of you who get stuck and failed to connect to the Internet, there is a strategy guide already inside of the game. And that is a very nice decision. If you have already paid for the Collector’s Edition why should you exert yourself googling the walkthrough? Don’t be lazy to take a glance at the Journal. Yep, it’s usually boring and useless in the majority of the games. And to tell the truth it is a little bit too wordy here as well. But nevertheless you can find useful advices what to do next and were exactly should it be done. And that is really precious as the hit button charges pretty slow. Thanks God, when there is nothing to do in the location you’ll get a corresponding notion – “I’ll come back here later” and if you get lost you may always click the hint that will point you where to go. 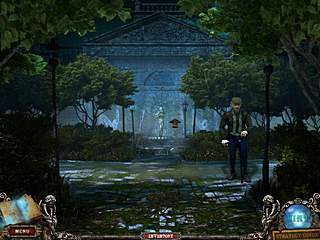 The game is a typical mysterious combo of HOG and adventure game. It’s neither challenging nor easy. It’s only up to you to decide whether you’re interested in one more of a kind or not. But it is well-done, so hardly you can treat it as a waste of money. This is Fear for Sale: The Mystery of McInroy Manor for Mac OS review. Download this game here.